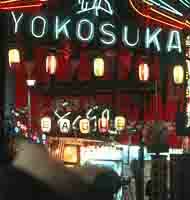 Yokosuka is a seaport near Tokyo, and was the port we used when we visited Japan. From here we took trips to Tokyo and to Hakone National Park, but those trips are covered elsewhere. Since most of our liberties (free time when we were able to go ashore) short (evenings during the work week), we spent a lot of time in Yokosuka. 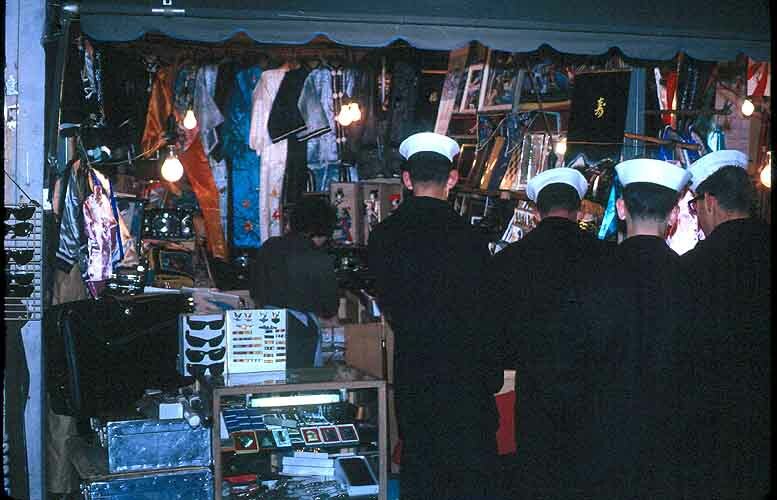 Here are some of the guys browsing in a store. 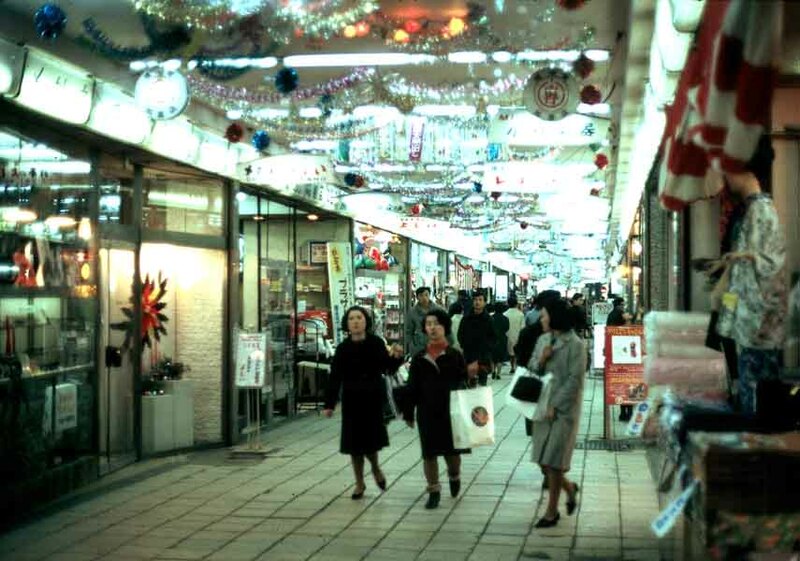 This picture shows the inside of a Yokosuka mall. 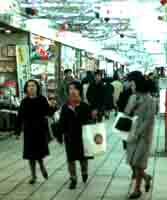 I thought it was very much like US malls of the time, except the stores and the passageways were smaller. 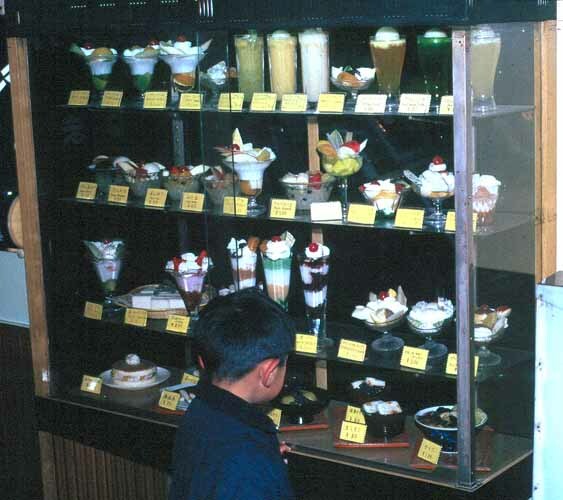 I regularly visited this shop which served fruit and sherbet dishes; they looked like ice cream but didn't taste like it. I was impressed by the display case. Everything was fake, but very realistic. 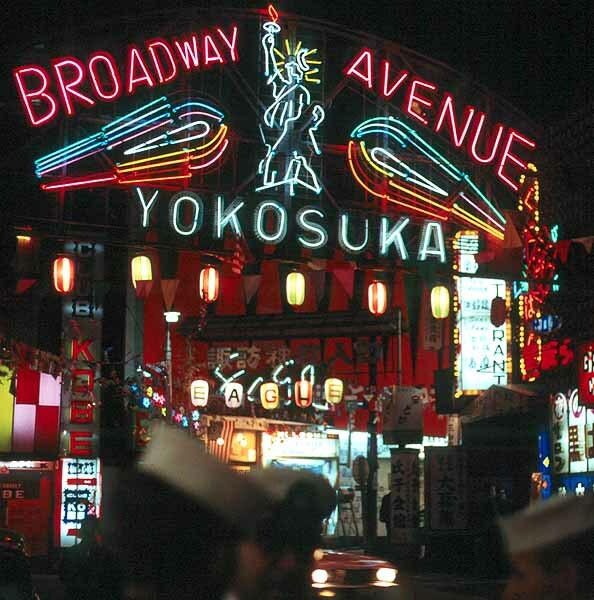 Yokosuka also had a bar district that was very popular with us sailors. I got a kick out of the signs displayed outside the bars. Click the picture above to see more.